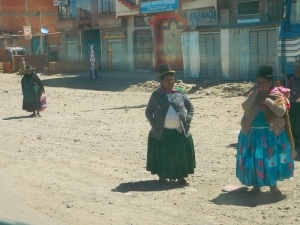 Back in Bolivia, we happily see again old ladies dressed in the traditional way : a large skirt with many layers, thick socks, a backpack made from a colored piece of fabric and a hat covering their long black braids. They seem to wear that dress in any circumstances: to work in the fields or take the bus... 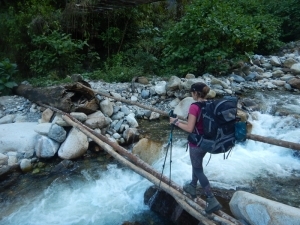 Meanwhile we have to change dress 3 times a day because of the differences of temperature at this altitude. 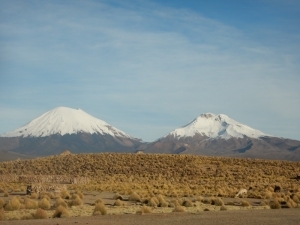 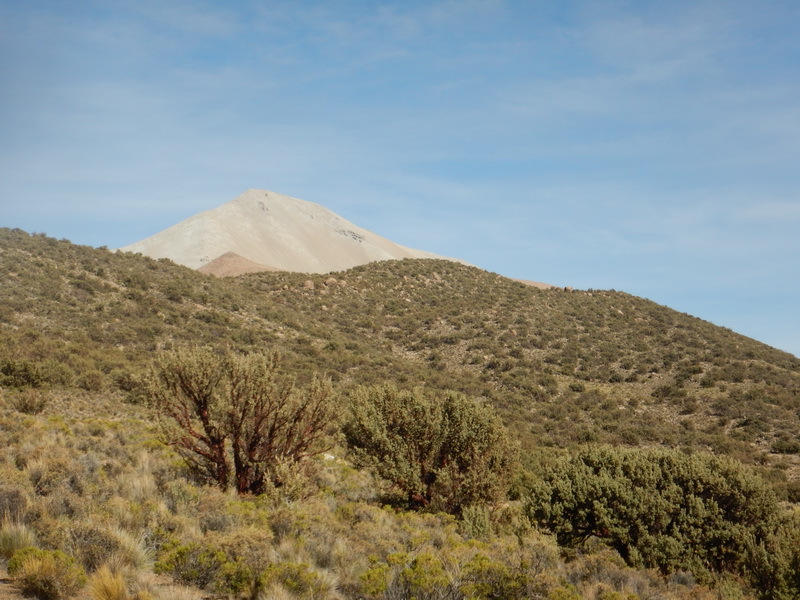 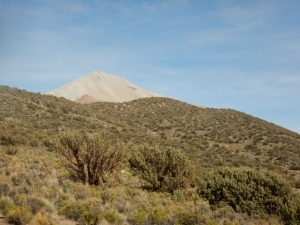 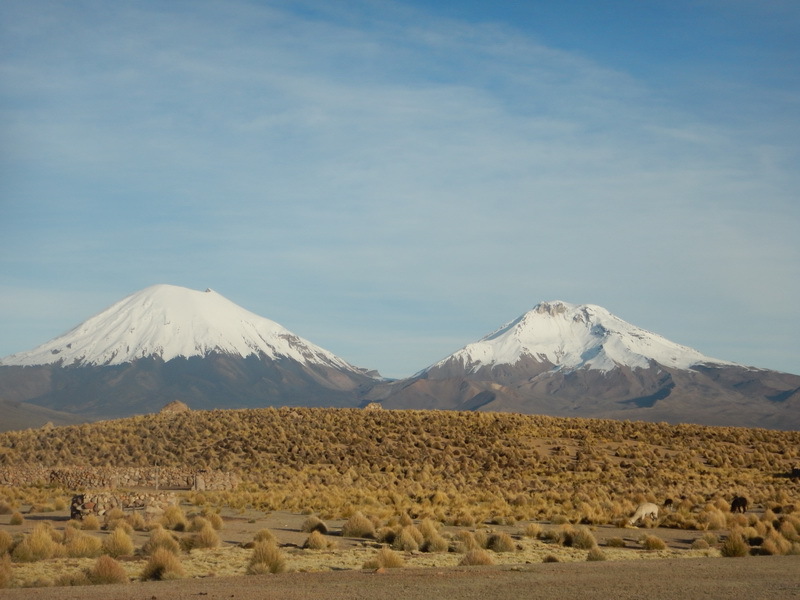 We spend our first night in the park Sajama, which is said to host the highest forest of the world, at the foot of the eponymous volcano. 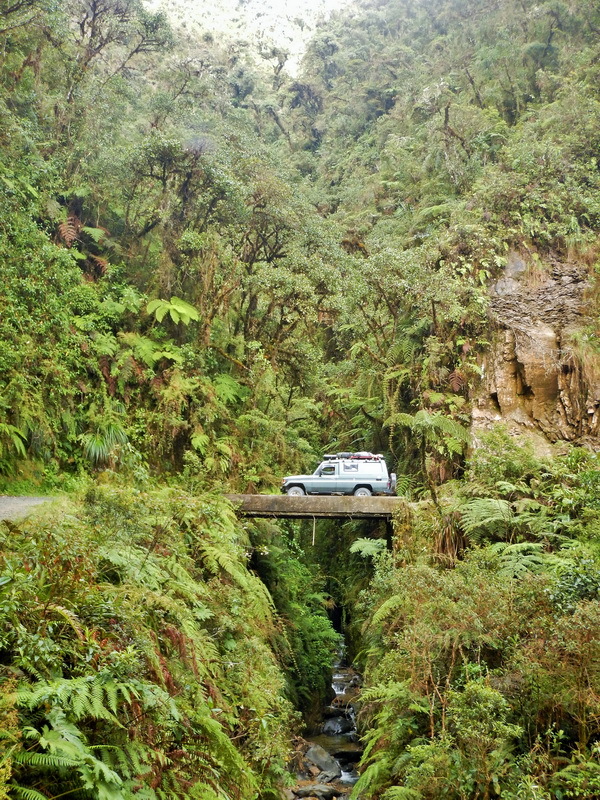 Indeed, there are many bushes of Quenoa tree, which truck is red and tortuous, but very few bigger than 1 meter in this area. 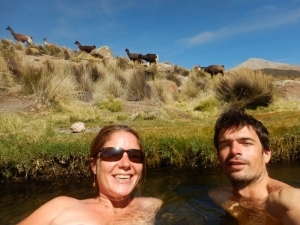 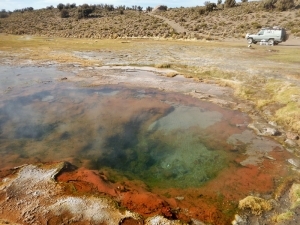 Here we can also find wild geysers, with clear boiling water (some people were boiling eggs in it), and we get the chance to take a bath in the warm river a bit below, visited by a herd of lamas. 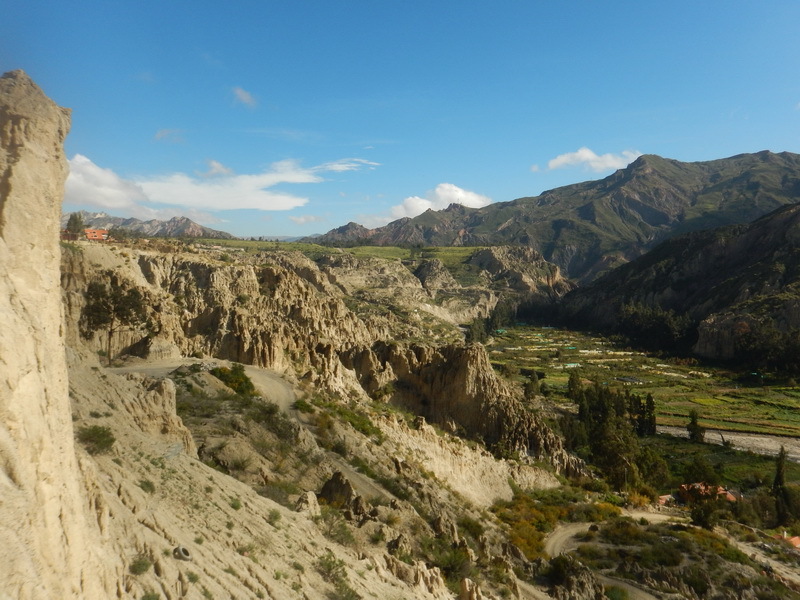 On the way to the economic capital of the country, we admire old “chullpas”, Incan funeral monuments, in the middle of rock formations and quinoa fields. 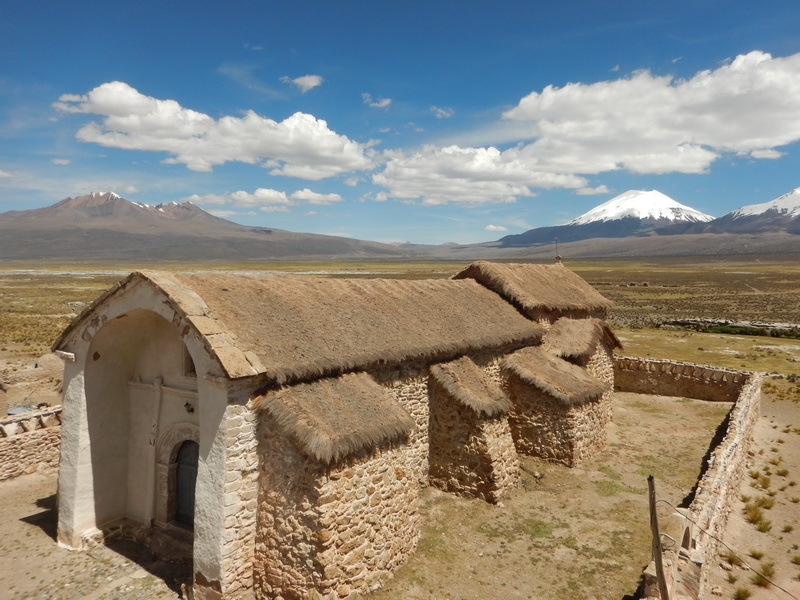 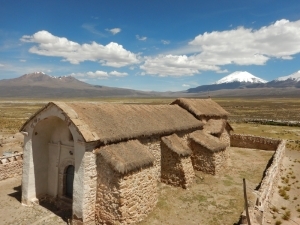 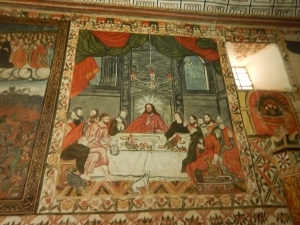 We then visit the “Sistine chapel of the altiplano”. 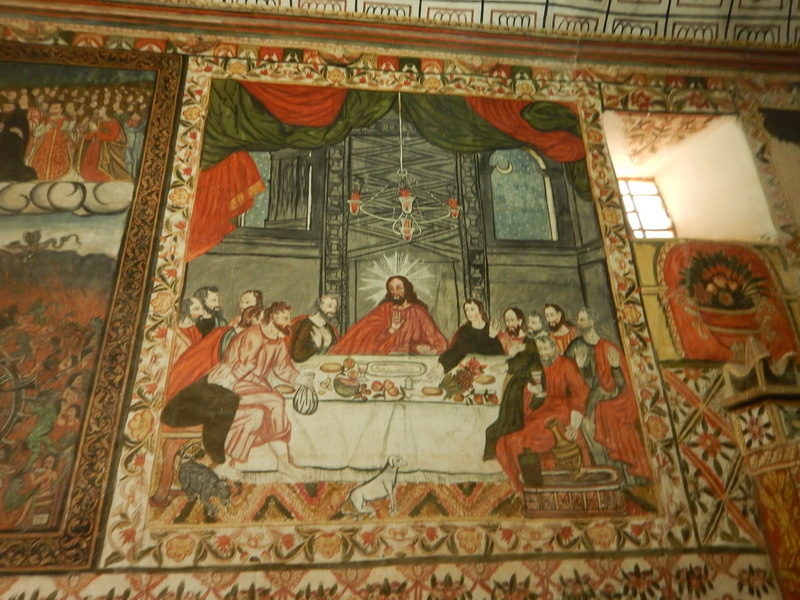 The priest himself gives us a tour, and we understood everything of the explanations about the pretty inside paintings once used to convert locals. 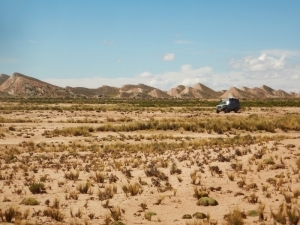 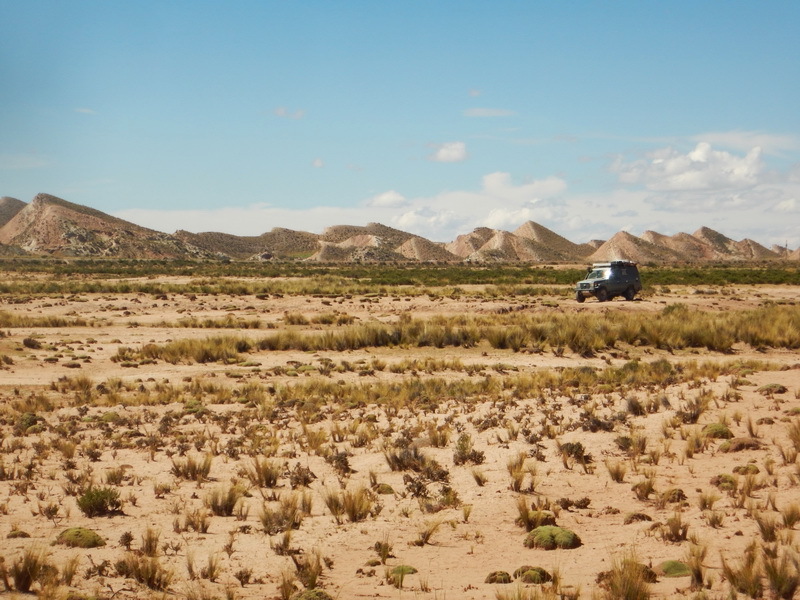 Once in La Paz, we are seduced by our camping near the “valle de la luna” and we stay there several days, idling, watching at the valley, visiting the city and the restaurants. 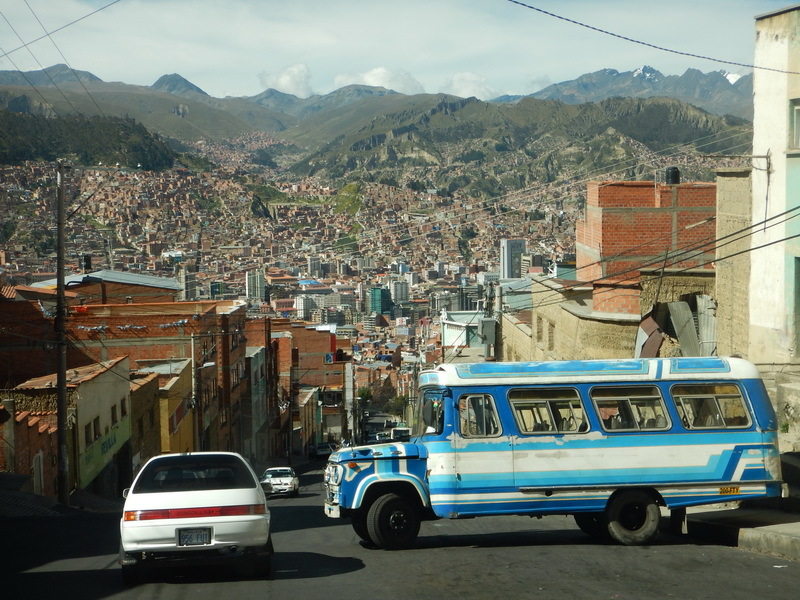 The city of La Paz is really surprising! 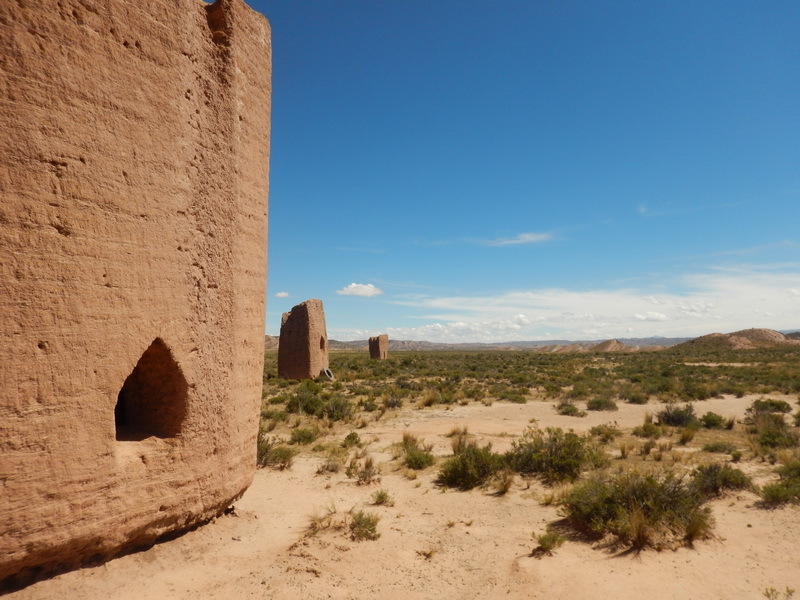 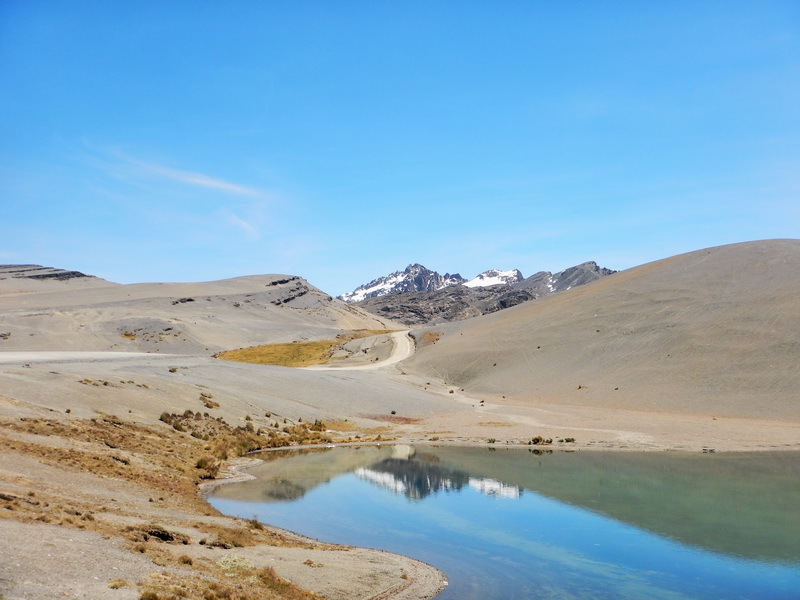 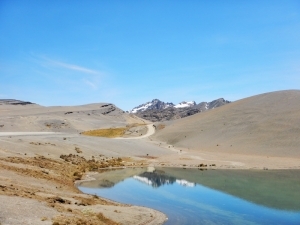 At the bottom of a canyon, and surrounded by cliffs, it sprawls in the nearby valleys and climbs up to El Alto, a twin popular city (now bigger than La Paz) on top of the altiplano at 4000m high. 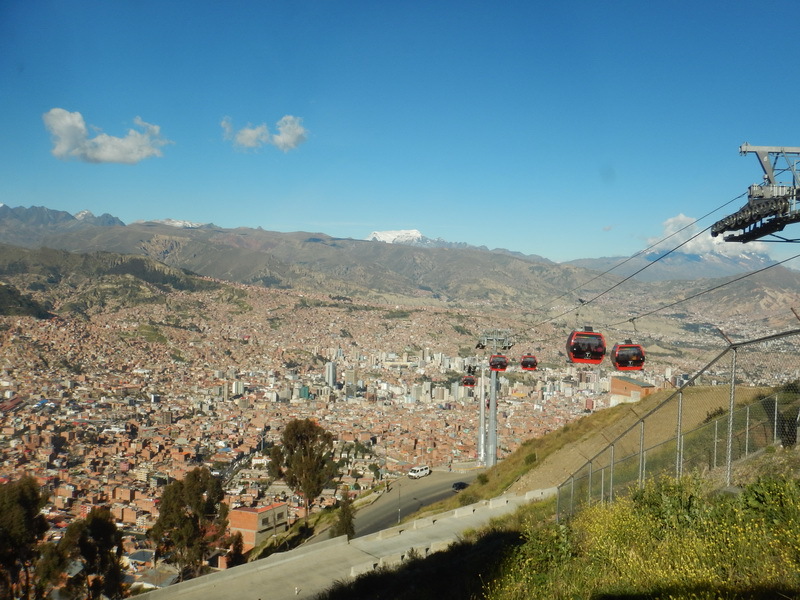 A new network of cable cars allows us to move around without suffering the incredible traffic and with unique views. 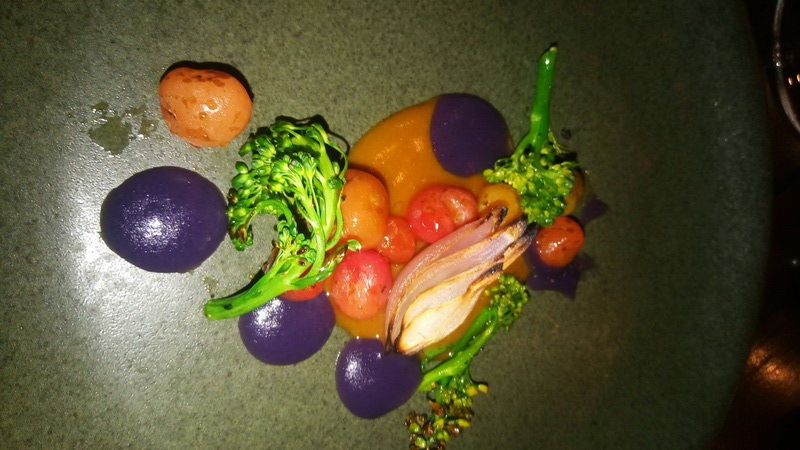 Having met another couple of travelers as interested in goog food as we are, we treated ourselves with the 5 stars restaurant Gustu and its 18 courses menu! All of it from local ingredients and with risky (but successful) associations such as butter/chocolate duck and mushroom/basil ice cream. 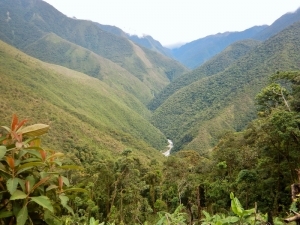 Next to La Paz are the Yungas, forested valleys, east of the Andes mountains, between 500 and 2000m high, with tropical climate. 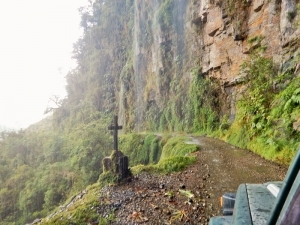 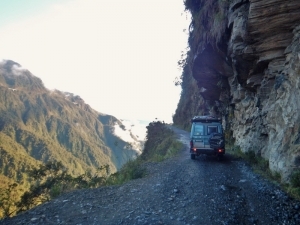 To go there, we drive the famous “road of death”, getting its name from the numerous car accidents that happened there. 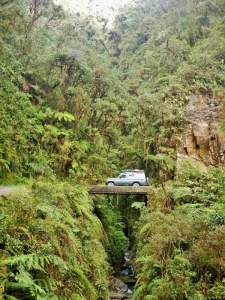 Indeed, the road is in the middle of a cliff, over a drop, narrow and winding, and flooded by several waterfalls... 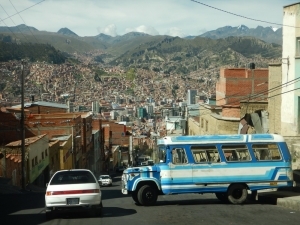 But its dangerosity was due to the local driving style too : as fast as possible and trying to pass whatever, even if there’s no room on the road. 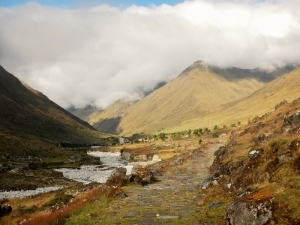 We had a taste of it, in the minibus that dropped us at La Cumbre, starting point of the “Choro Inca trail”, a 3 days trek on an old Inca road, with -3000m difference in level, from 4700 to 1500 meters high. 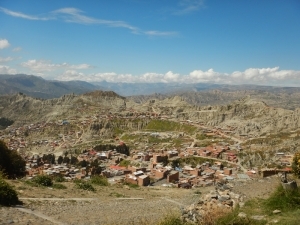 But we haven’t been told it starts with a climb, and at 4900m meters high, it took us almost 2 hours to climb 200 meters. Once at the pass, the view is gorgeous. 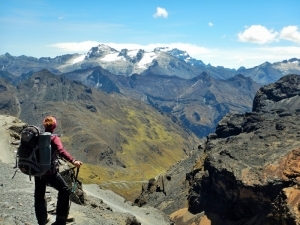 Then it’s a 50 km spectacular downhill (and a few uphills too) down from the Andean altiplano to the Yungas. The last rains of february have washed away many bridges and parts of the 500 years old trail which doesn’t help us. 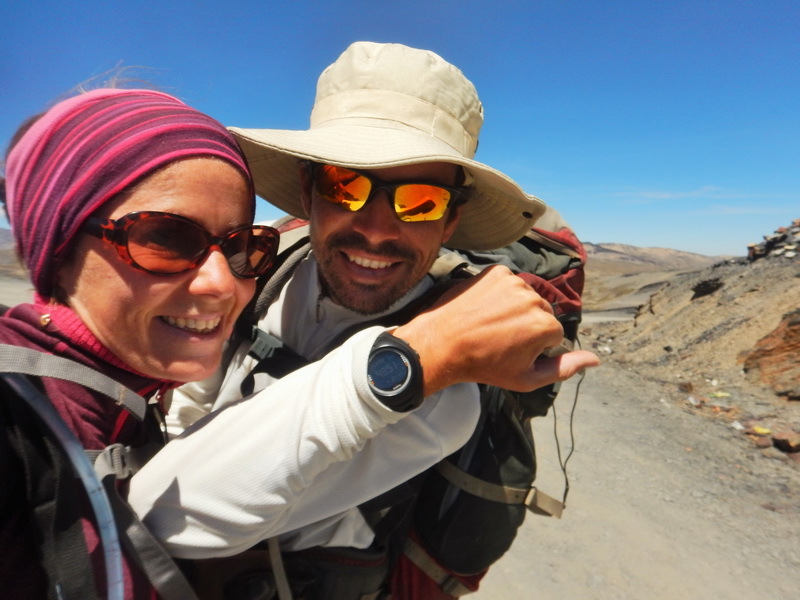 Once back to the car, we enjoy a good meal and shower, and aching all over!